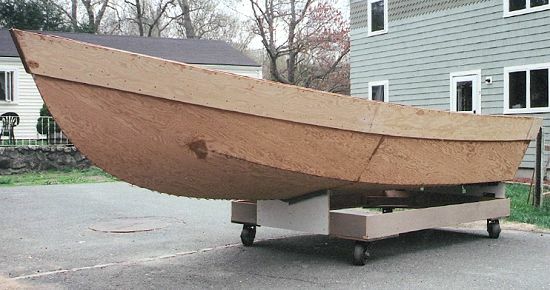 I began my Glen-L Console Skiff build in Oct of 2005 and expect to be in the water this spring 07. It has been an enjoyable build and I cannot help but look at other Glen-l designs for my next project. 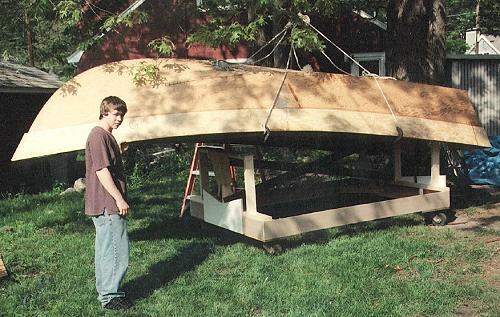 Having the ability to move the hull around while working on it and roll into the garage to get out of the weather made things much easier. The cradle was made from plywood I had left over from other projects. I did opt to put in floatation foam. 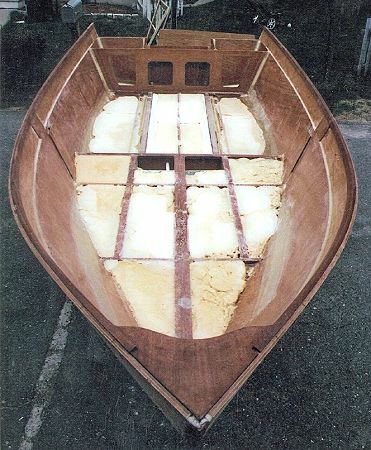 Foam was poured, corresponding deck panels were wrapped in sheet plastic and weighted in place for foam to expand against. Excess foam was cut flush with a hand saw. 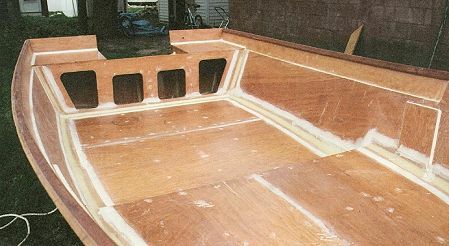 Area under console was kept free of floatation to allow access to raceways along longbeams. PVC conductor pipe was used along the inside of long beams. 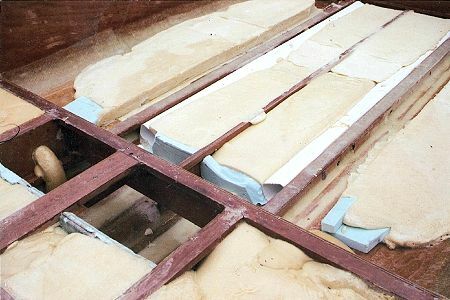 The outer raceways were formed with strips of blue insulation foam wrapped in sheet plastic which was later removed to creat raceway. All decks in filleting done. 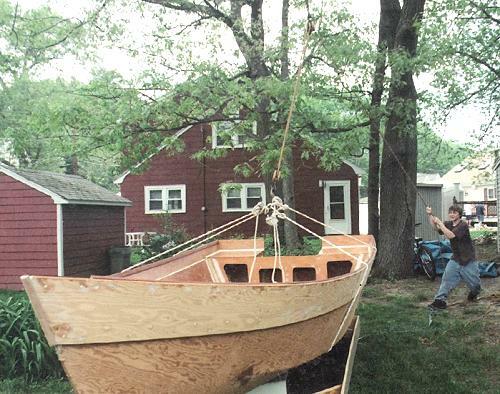 Inner gunwale installed. Motorwell has been enlarged to 28". 30" or 32" may have been a better choice, but I wanted to keep the side decks as large as possible. My steering linkage wants to penetrate the motorwell side by an inch or so. My son Harry helping me flip hull. The rope tackle looks good but we were unsuccessful with it and ended up using a 2-ton chain comealong.